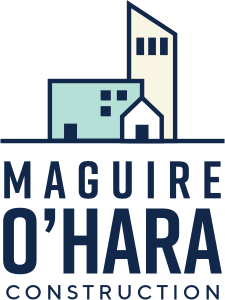 Maguire O’Hara Construction is a disaster restoration general contractor specializing in commercial, industrial and residential building remodeling. When Oklahoma’s unpredictable weather destroys your home or commercial space, Maguire O'Hara Construction reliably rebuilds what has been lost. We’ve been the trusted contractor after fire, hail, tornado, wind, and water for more than 30 years, with work and relationships that stand the test of time. We will efficiently evaluate the damages, design and implement a streamlined construction project, integrate updated technologies and operational improvements as well as sustainable efficiencies. As a locally, family-owned business, we believe in treating each customer like our neighbors, providing fair and accurate pricing, and offering support through the insurance claim process. Our work sets the industry standard, and we do it with integrity and professionalism. Our experienced team will complete an on-site inspection of the damage and provide an accurate estimate for the total project. Call us at 405-848-3791 or email estimate@maguireohara.com. © 2019 Maguire O'Hara. All rights reserved.